A sequel to the big and brutal spy thriller is happening according to the film's star. Atomic Blonde is better than John Wick 2 and was undoubtedly the best action movie of 2017. There. We said it and we’re not ashamed to admit it either. While John Wick was an excellent and highly enjoyable action flick – albeit one that borrowed heavily from Taken – the sequel got way too bogged down in its own mythology. Atomic Blonde had no such issues. Set in 1980s East Berlin before the wall came down, it’s a breathtakingly brutal action movie, full of full-on stunts, first rate gun play and a whole lot more besides. The fights sequences alone were a thing of art. Perfectly orchestrated and brilliantly relentless to boot. The staircase brawl, the car-based attack, that bit where Charlize Theron blitzes a whole crew of army goons while listening to George Michael’s Father Figure – it’s brilliant. Based on the 2012 graphic novel The Coldest City, the plot revolved around Theron’s British spy character Lorraine Broughton, who is set to East Berlin in early 1989 to try and find a list of double agents being smuggled to the West. 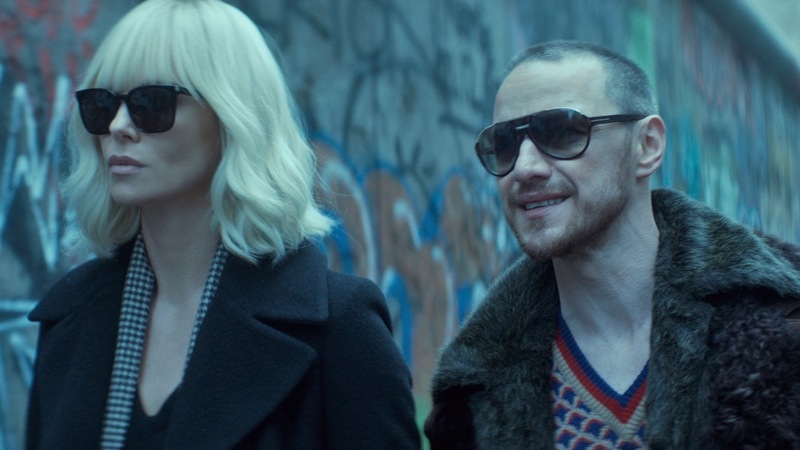 It’s got a great soundtrack, some memorable lines and a fine array of performances from the likes of John Goodman, Sofia Boutella, and a boozed-up chain smoking James McAvoy. The movie also showcased exactly why Theron may be the biggest and best action star on the planet, having already flexed her sizeable muscle with movies like Mad Max Fury Road and Fast & Furious 8. “We’re working on a sequel,” she told fans. There’s no word yet on whether director David Leitch will return – he’s currently busy with Deadpool 2. A prequel to the graphic novel, titled The Coldest Winter, was released back in 2016 and could end up serving as the basis for the film. In any case, loaded is excited and you should be too.